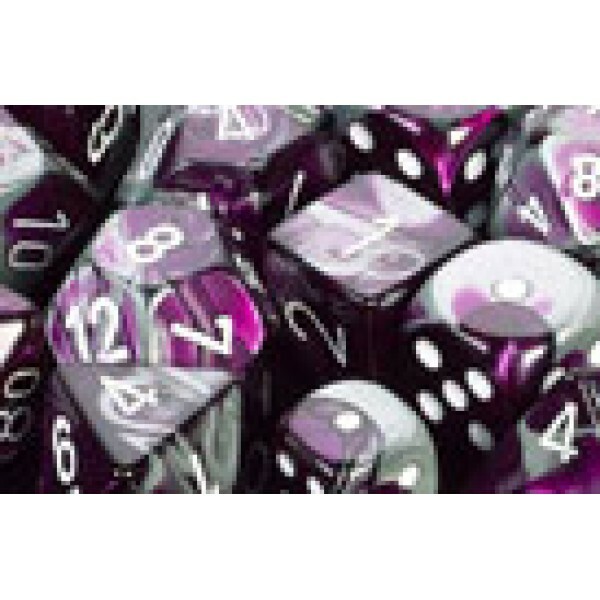 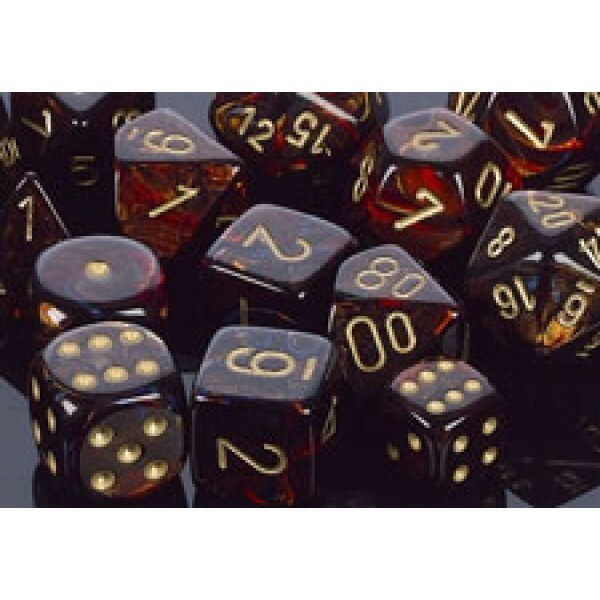 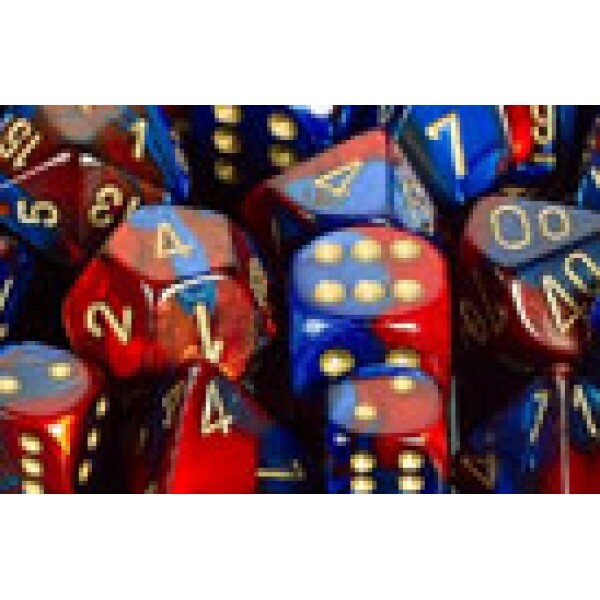 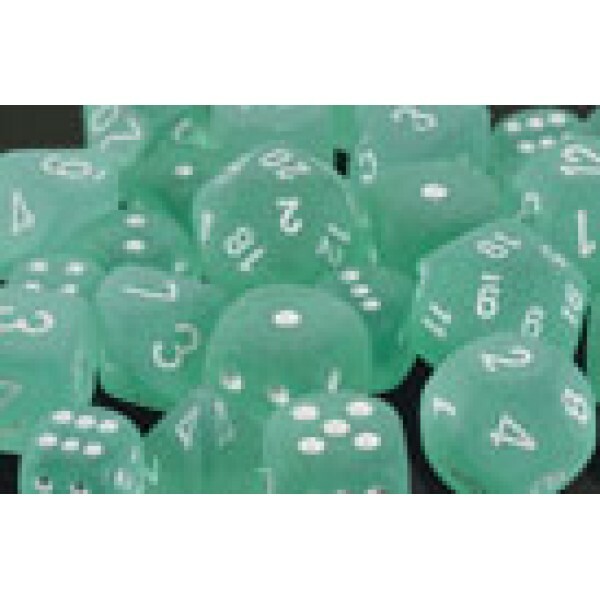 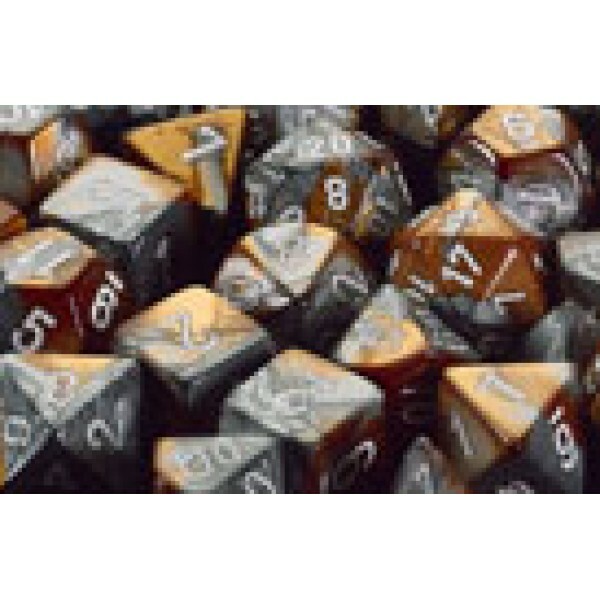 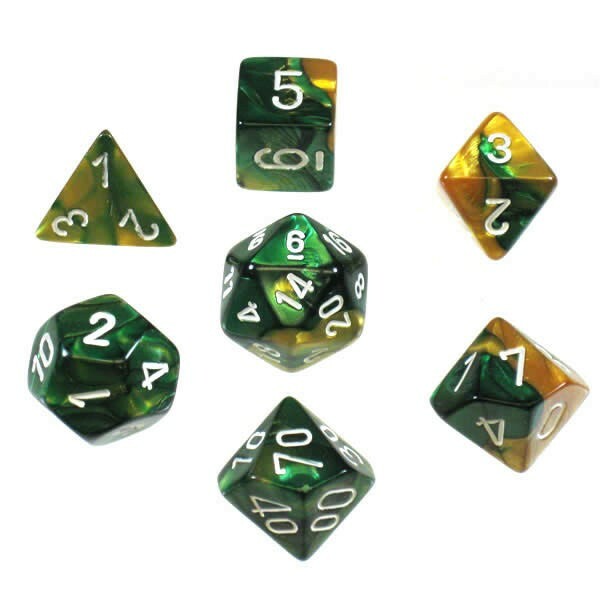 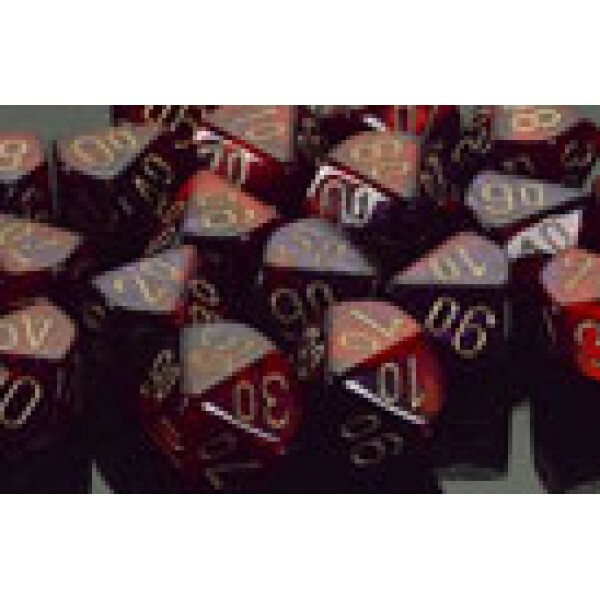 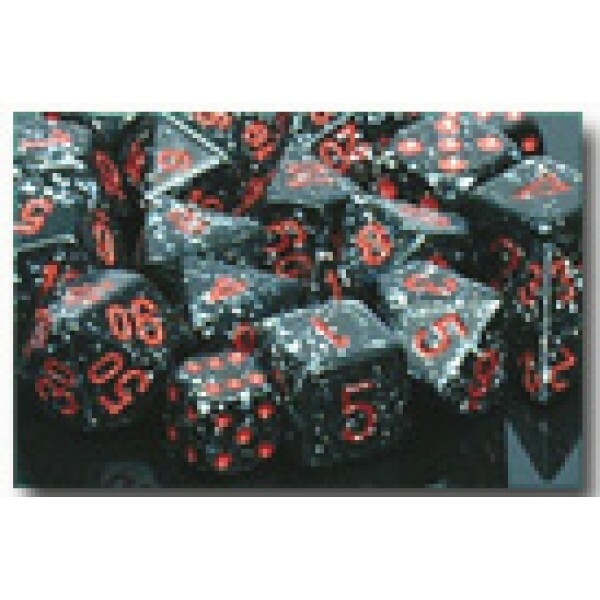 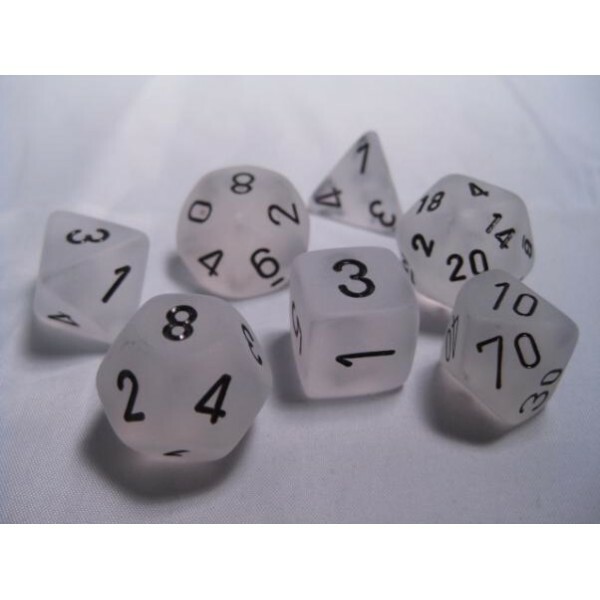 A Range of Dice in fantastic assorted colours in all the numerations required for RPG games. 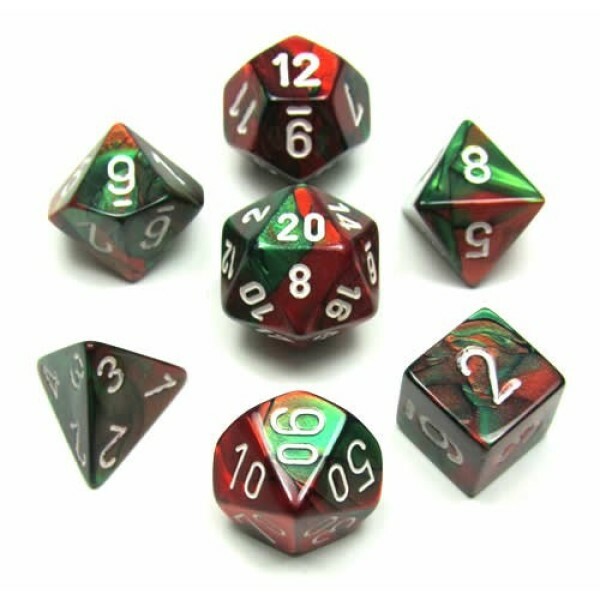 These dice are also Lucky!!!! 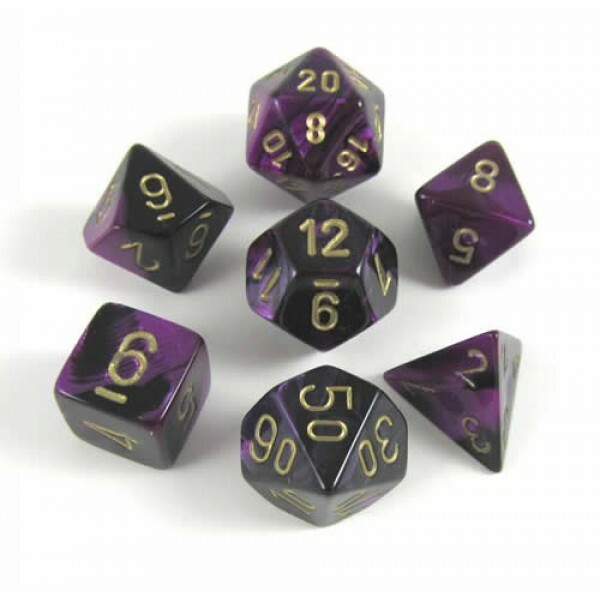 Chessex RPG DICE - Black - Purple / Gold 7 Dice Set ..
Chessex RPG DICE - Green - Red / White 7 Dice Set ..
Chessex RPG DICE - Copper - Steel / White 7 Dice Set ..
Chessex RPG DICE - Frosted Clear / Black 7 Dice set ..
Chessex RPG DICE - Marble Ivory / Black 7 Dice set ..
Chessex RPG DICE - Frosted Teal / White 7 Dice set ..
Chessex RPG DICE - Gemini Blue - Gold / white 7 Dice Set. 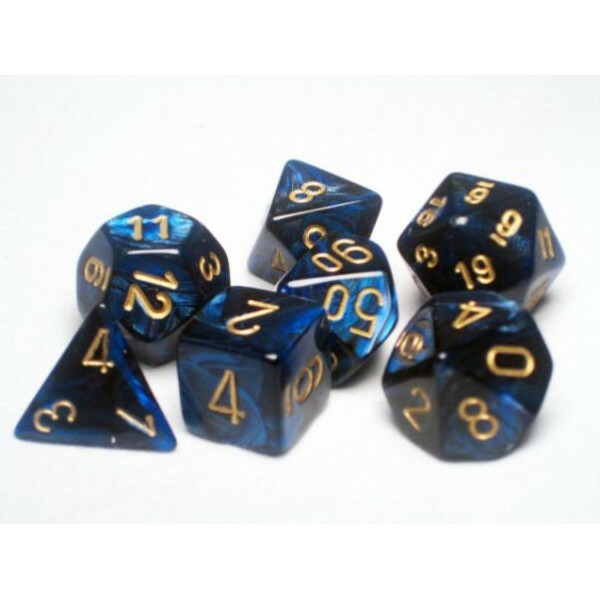 Chessex RPG DICE - Gemini Blue - Gold / white 7 Dice Set. 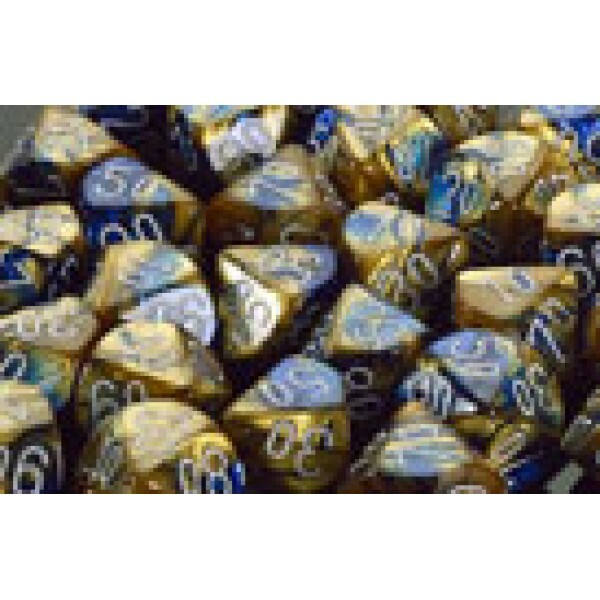 ..
Chessex RPG DICE - Gemini Blue - Red / Gold 7 Dice Set ..
Chessex RPG DICE - Gemini Purple - Red / Gold 7 Dice Set ..
Chessex RPG DICE - Gemini Purple -Steel / White 7 Dice Set ..
Chessex RPG DICE - Gold - Green / White 7 Dice Set ..
Chessex RPG DICE - Scarab Royal Blue/Gold 7-Die Set ..
Chessex RPG DICE - Vortex Electric Yellow/Green Polyhedral 7-Die Set ..
Chessex RPG DICE - Scarab Blue Blood / Gold 7 Dice Set ..